Regular brushing and flossing, along with professional dental care, can be extremely beneficial to a person’s oral health. But no one is perfect. At some point or another, a dental problem is probably going to develop. The most common dental problem is cavities, which require restorative dentistry services to clean and strengthen the tooth. Cavities are common because they begin with the presence of bacteria, which is a natural part of the oral environment. By understanding how cavities form, patients can do all that is possible to prevent them. Still, when cavities do form, Dr. Kenneth W. Coffey offers treatment for dental cavities at his Orland Park practice. Stage 1 - Sugars and starches build on the teeth: The teeth help us bite and chew our food, so it is only natural that food particles, sugars, and starches get left behind on the teeth. Saliva helps to wash away these substances, but there is likely to be some left behind (which is why brushing and flossing after meals is so important). Stage 2 – Plaque and tartar buildup:If patients fail to brush and floss regularly, they will accumulate a layer of plaque or tartar on the surface of the teeth, or the mineral coating of enamel that surrounds the inner layer of the teeth. Stage 3 - Bacteria thrive on the sugars and starches in plaque and tartar:The mouth has bacteria that feed on the sugars and starches that are left behind on the teeth. As sugars and starches build, bacteria thrive and multiply. Stage 4 - Bacteria destroy the enamel:If the teeth are not cleaned thoroughly, plaque and tartar will remain on the teeth and will begin to eat away at the surface of enamel. As this decay continues, small holes will form on the surface of the tooth. As unfortunate as dental cavities can be, the good news is that they can easily be treated. The most common treatment for a dental cavity is a dental filling. 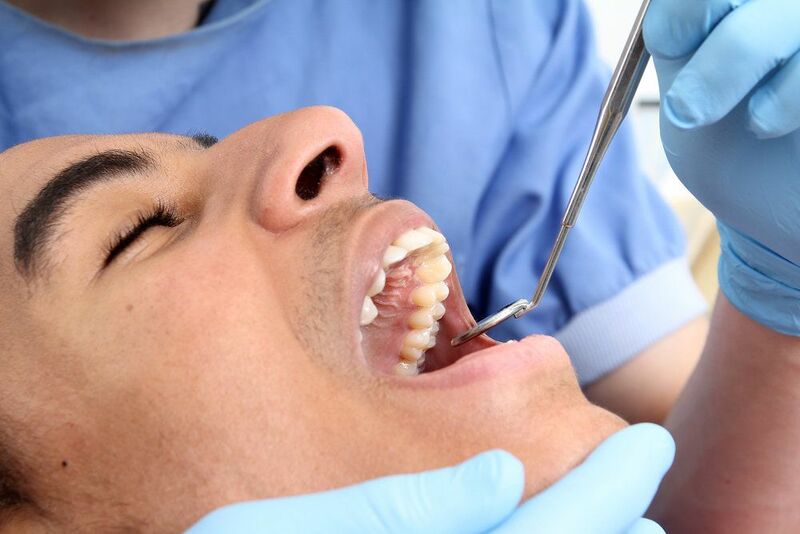 Fillings are applied directly to the teeth, and fill in the holes left by tooth decay. They also seal off the tooth so that the deeper structures of the tooth do not become infected. If tooth decay has progressed, Dr. Coffey will explore alternate restorative dentistry treatments, such as inlays, onlays, or dental crowns. All of these treatments improve tooth strength and offer protection from further decay. Dental cavities and tooth decay can be effectively treated with restorative dentistry treatments, but if ignored, they can pose a serious threat to oral health. If you are interested in preserving your oral health and preventing dental complications, professional dental care is your best line of defense. Schedule an appointment at your earliest convenience to learn how Dr. Kenneth W. Coffey can help you protect the health and beauty of your smile.